Mobile Tyre Shop is Australia’s largest mobile tyre service network. It’s more than likely you have seen our bright yellow and white vans travelling around Brisbane on our way to replace someone’s tyres at work or home. Booking in at a tyre shop to get your tyres changed can be a hassle. By the time you take into account travel time, waiting for them to be changed…maybe wait a little longer… it’s going to be the best part of half a day. Where as, if you call Mobile Tyre Shop, we’ll come to you. We will professionally fit and balance your new tyres while you keep doing whatever it is that you do. We have all the top brands at prices that won’t cost you anymore than from your traditional tyre shop and fitting is FREE! Our operations in Brisbane services Brisbane CBD, south through the Gold Coast to the NSW Border, west to Ipswich, north to Caboolture and the coastline of Moreton Bay including Redcliff and Redland. 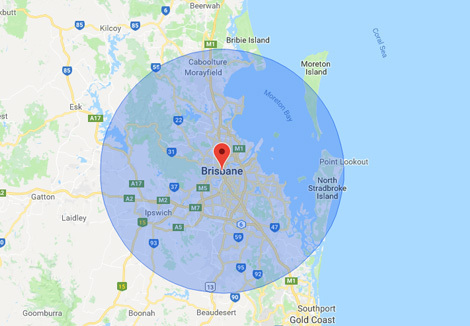 Whether you’re in Mount Gravatt, Springwood, Springfield, Kippa-Ring or Upper Kedron, Mobile Tyre Shop services all the surrounding suburbs of Brisbane and we can come to you 7 days a week, 7am-7pm. Our vans are equipped with the best European technology and run by experienced professionals ready to fit and electronically balance your new tyres. Why go through the painstaking chore of finding a way to your nearest traditional tyre shop when you could just call Mobile Tyre Shop! Stay perfectly on schedule, quickly and at a lower cost. Call us for a free quote today. Brisbane CBD, Ipswich, Caboolture, Moreton Bay.